The Big Bang Theory t-shirt featuring "The Flash" Distressed Logo is just like one of Sheldon's t-shirts that can now be yours. Also catch The Flash on Supergirl! 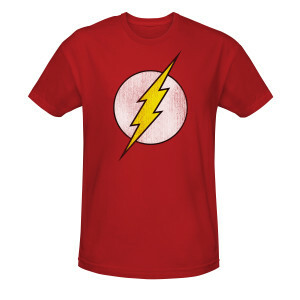 The Flash t-shirt is 100% cotton and 100% comfortable.